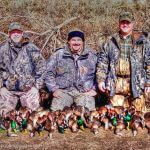 Arkansas waterfowl hunts with Flying Feathers Guide Service is the premier duck hunting destination in the south. 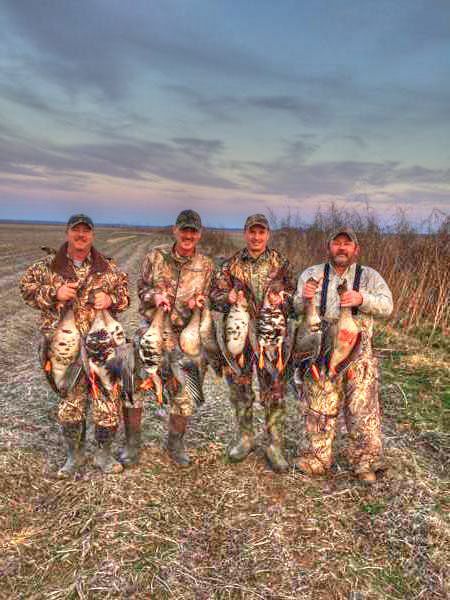 We hunt rice, soybean, corn, and millet fields, as well as sloughs and timber. 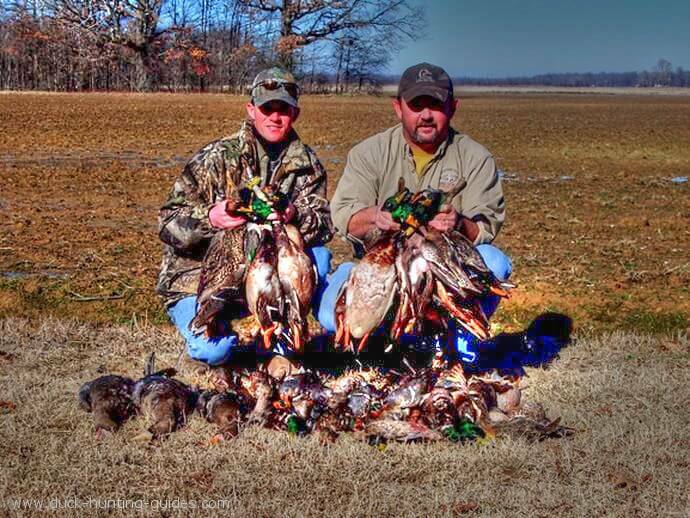 However most of our Arkansas waterfowl hunts are in the fields. They are conducted from skid blinds, pit blinds, and layout blinds that have been strategically placed and brushed to perfection to blend to the surroundings. Occasionally, we will be standing/sitting on the field’s edge or beside a tree blending into the natural vegetation. 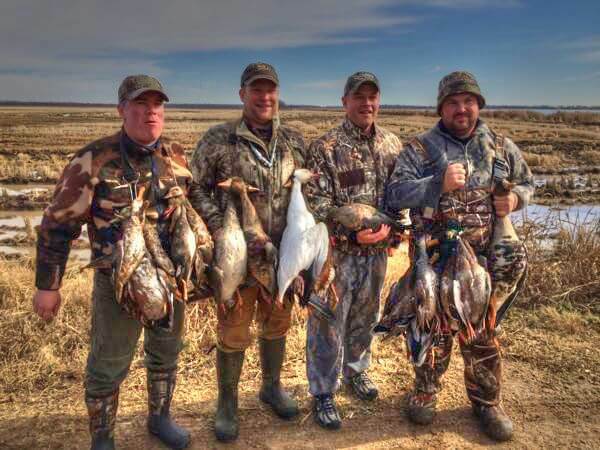 Depending on the day and flight patterns of the waterfowl, the location of the hunt is chosen by the guide. He will scout the farm finding the area the ducks are using in the evening then he will make his decision for the next morning’s hunt. 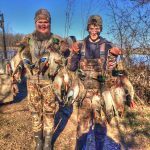 When is the Arkansas Waterfowl Season? 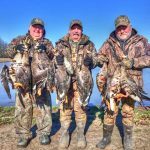 Arkansas Hunting License Cost and Where to Buy? 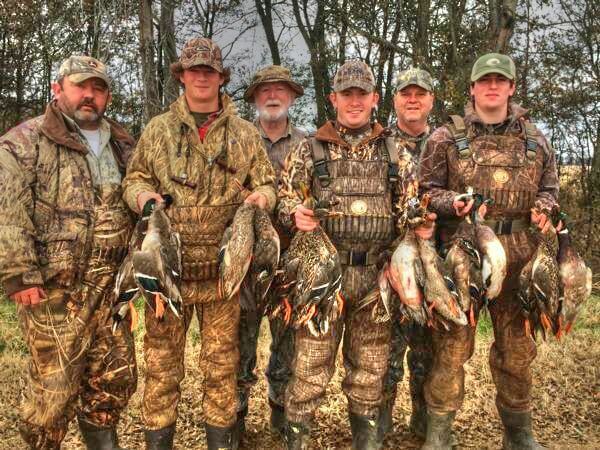 The state of Arkansas requires all hunters to purchase a small game hunting license and both a state and federal waterfowl stamp to hunt migratory birds in Arkansas. 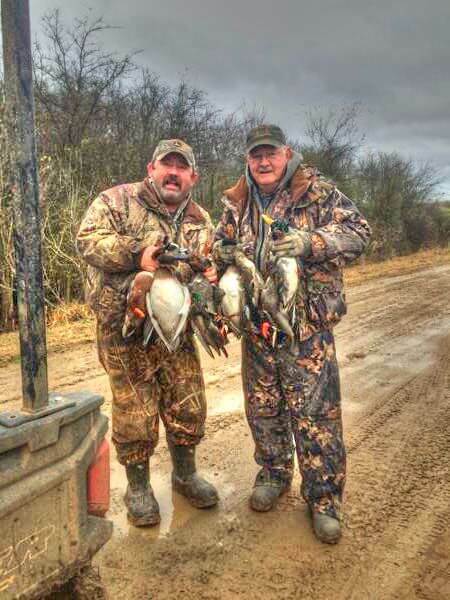 Many clients ask if they need waders for their hunt. 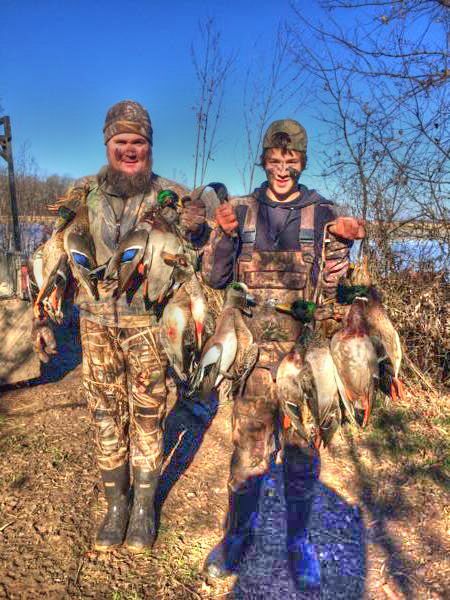 If you do not wish to bring waders, you will be just fine in our blinds and pits. We will take care of all the wet work and let you keep dry. However if you feel comfortable bringing and wearing your waders, then you are more than welcome. No, Flying Feathers Guide Service will accommodate all your decoy needs. We have our decoys strategically placed throughout the year. 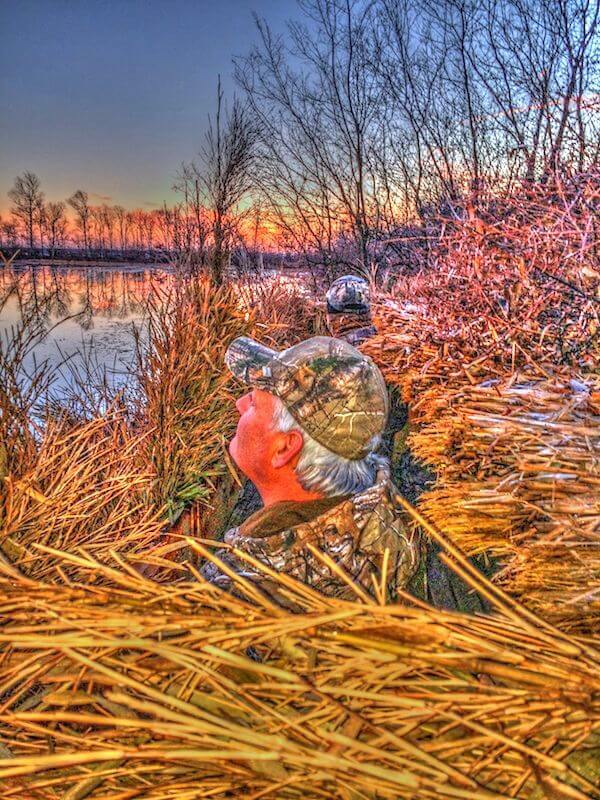 We want you to focus on the hunt rather than the decoys. What Type of Terrain Do You Hunt? We hunt mainly fields and harvested crop fields. We do get into some timber and tree line edges from time to time, but majority of our hunts are in the fields. What Type of Blinds - Above Ground or Pits? We have above ground blinds that are brushed in to look natural to the birds above. We have plenty of room for our hunters and guests. What Size of Groups Can You Accommodate? We have many blinds most are 20-45ft in length and we like to have 4-5 to a blind. However we can accommodate your groups size, some groups as large as 8. Location is Key to Success! Our location is key. 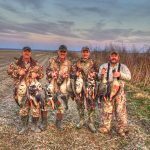 You will not find another guide service with a sweeter spot than we have at Flying Feathers Guide Service! 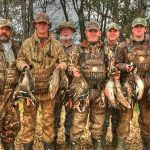 We are in the heart of the best duck hunting in the south. 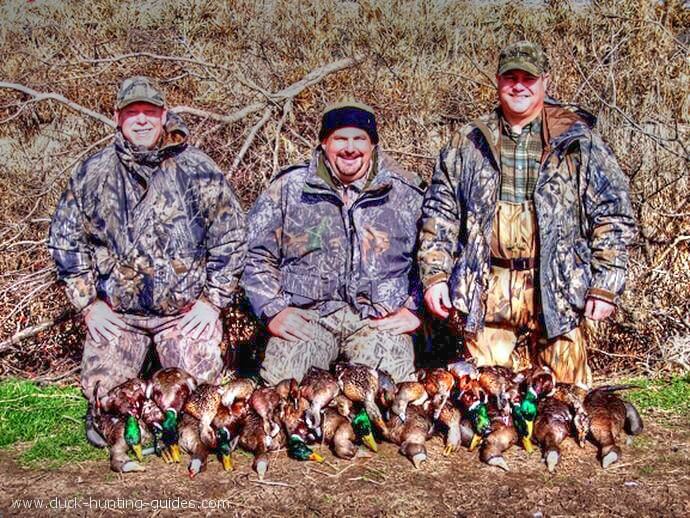 When you book your guided hunt with us you are booking a hunt with over 3,000 acres of options to hunt. 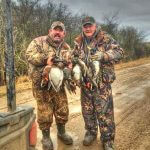 The guides at Flying Feathers Guide Service are local guys with lifetimes of experience in Arkansas waterfowl hunts. The effort given by our guides will not be outdone. 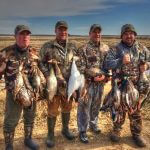 When hunting with Flying Feathers Guide Service, you should expect a laid back and enjoyable hunt. Our guides enjoy the fellowship as much as the kill. We can tell stories and jokes, laugh and carry on in the blind. 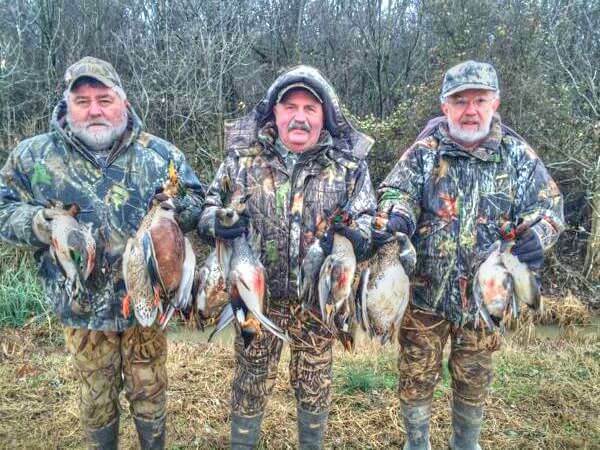 When the ducks get close and your guide is calling you should have your faces tight and ready to shoot when your guide calls the shot. 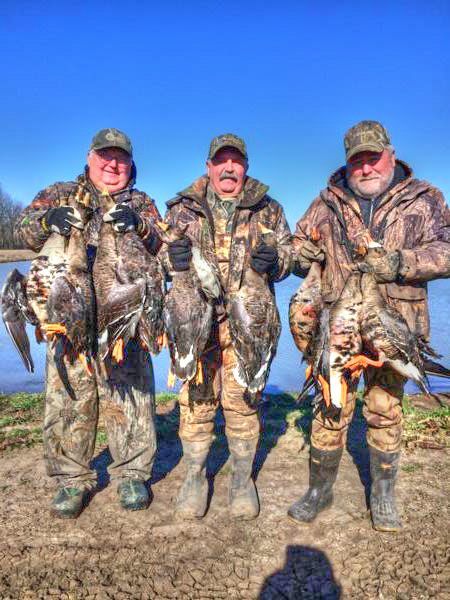 We like to call the shots because it gives everyone ample opportunity to shoot and it will increase the chance of taking more than one bird at a time. However, it is your hunt and as long as safety isn’t a concern and you think you can kill, go ahead and get some! 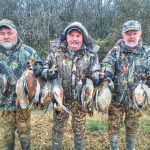 While we do not provide any lodging or meals on your Arkansas waterfowl hunts – we have our suggestion.